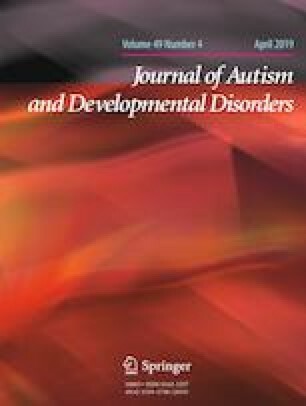 The Autism impact measure (AIM) is a caregiver-reported questionnaire assessing autism symptom frequency and impact in children, previously shown to have good test–retest reliability, convergent validity and structural validity. This study extended previous work by exploring the AIM’s ability to discriminate between ‘known-groups’ of children, and estimating thresholds for clinically important responses. Data were collected online and electronically on computer and mobile devices; hence, it was also possible to confirm other psychometric properties of the AIM in this format. This study provides confirmatory and additional psychometric validation of the AIM. The AIM offers a valid, quick and inexpensive method for caregivers to report core symptoms of autism spectrum disorder (ASD) including communication deficits, difficulties with social interactions and repetitive behaviors. The online version of this article ( https://doi.org/10.1007/s10803-019-04011-2) contains supplementary material, which is available to authorized users. We are grateful to all the families in SPARK that participated in this study, as well as the SPARK clinical sites and SPARK staff. We also thank Tempus Dynamics, under contract with SPARK, for converting the study questionnaires into an electronic format and managing the study workflow. BM, KL and TW had the study idea. RH, BM, KL, GL and TW participated in its design and coordination. SLS and FV reviewed the study protocol. RH and SLS performed the statistical analysis. All authors were involved in the interpretation of the data. RH made the first draft of the manuscript, after which, all authors made comments to draft versions and read and approved the final version. This study was funded by F. Hoffmann-La Roche Ltd. KL’s time was supported by the Simons Foundation Autism Research Initiative and an infrastructure award (PPRN-1501-26462) from the Patient-Centered Outcomes Research Institute (PCORI). RH, BM, GL, SLS and TW are full-time employees of F. Hoffmann-La Roche Ltd., which has drugs for autism under development. BM and TW holds stock options from F. Hoffmann-La Roche Ltd. KL is a research consultant with the Simons Foundation Autism Research Initiative which funds and operates SPARK. FV: none. Informed consent was obtained from all individual participants included in the study. The study protocol was approved by Western IRB.